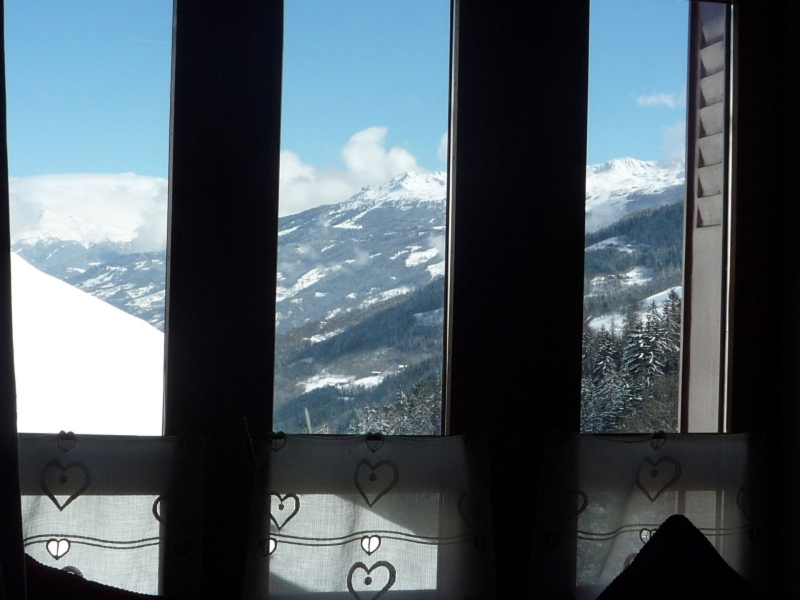 Ferme Blanche is a charming ski chalet on the La Plagne side of Paradiski. In an unspoilt mountain hamlet below the resort of Plagne Montalbert, the farmhouse is in an idyllic alpine location yet close to the ski lifts too. It's available catered or self-catered, with flexible start dates and length of stay. Airport transfers are usually included for catered groups outside peak periods (conditions apply). Sole occupancy possible for groups of 6 or more. 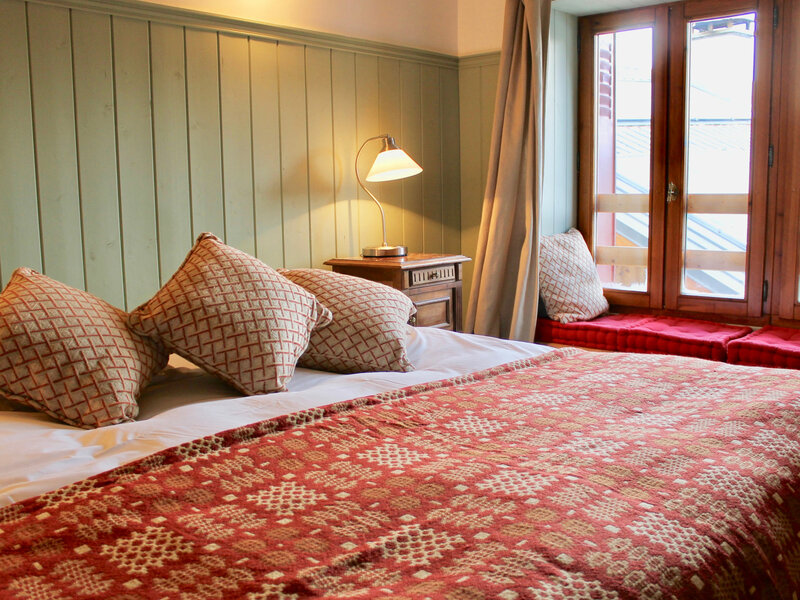 The chalet has 4 large ensuite bedrooms + optional studio (extra charge), a comfy sitting room with log stove and a separate dining room. Outside, there's a sunny terrace with stunning mountain views and an enclosed garden ideal for dogs. There's also an outdoor spa with sauna, and hot tub (subject to a supplement). 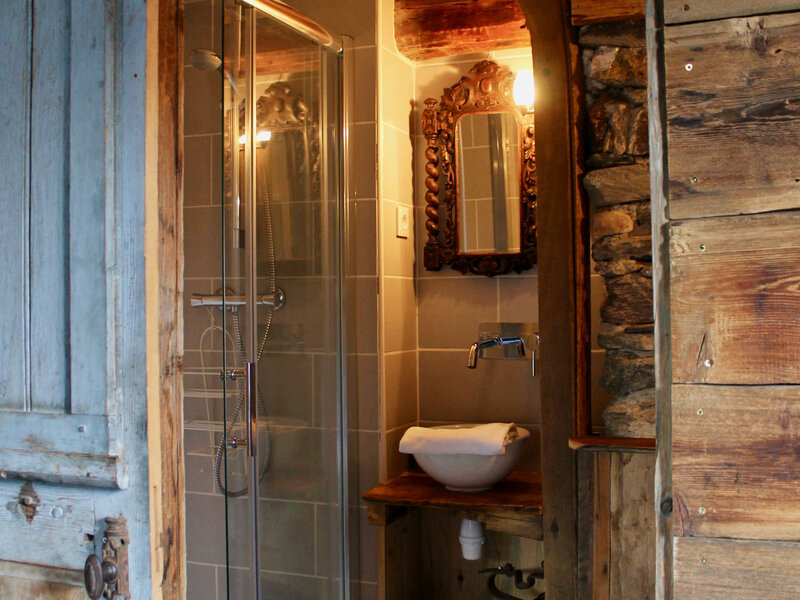 Recently renovated using eco-friendly and recycled materials, the chalet has lots of rustic alpine charm, including flagstone floors, original timbers, and stone walls nearly a metre thick in places. 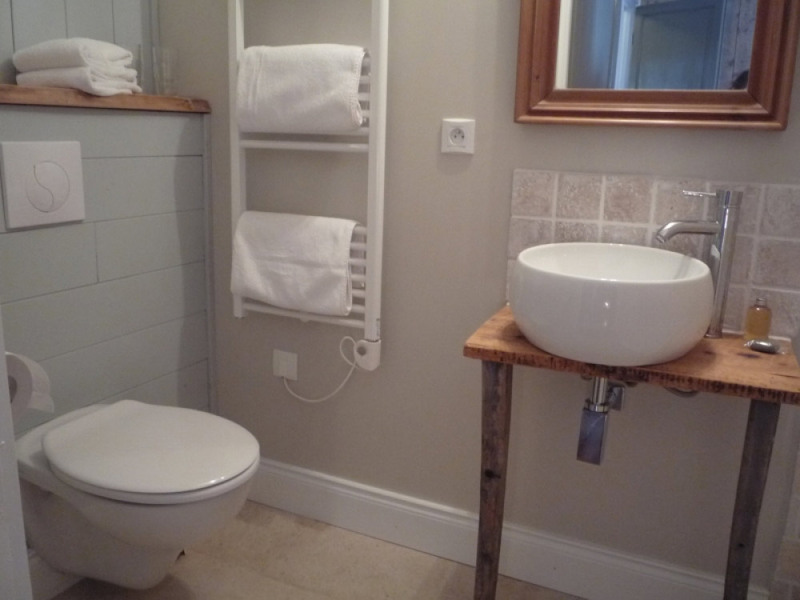 Please note, the chalet staff have a self-contained studio with separate entrance in the building. They also have pet dogs (these are kept out of the way of guests). Our food philosophy is very much about cooking with a conscience. 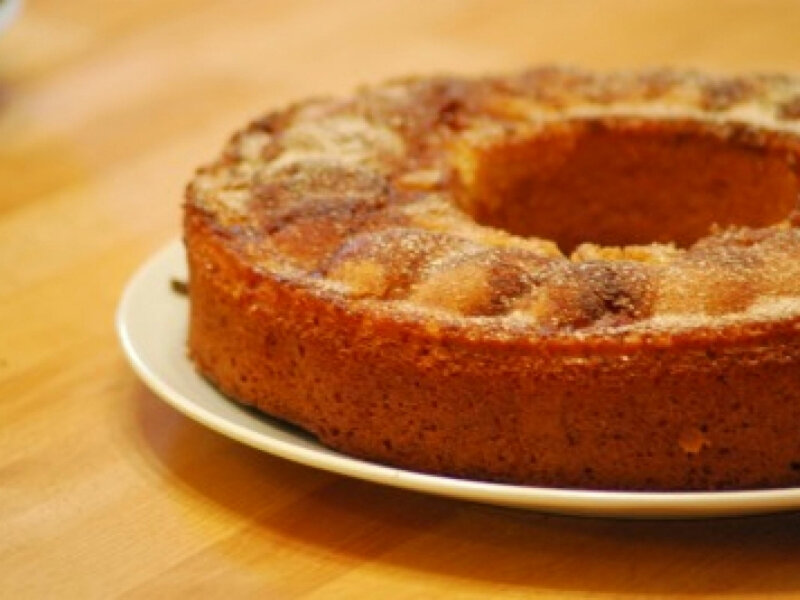 The majority of meals are made from scratch and use good quality, ethically sourced ingredients where possible, including: organic or local red meat; free range chicken and eggs; and local cheeses. See our website for more info about our eco-friendly ethos. You can also self-cater if you wish. 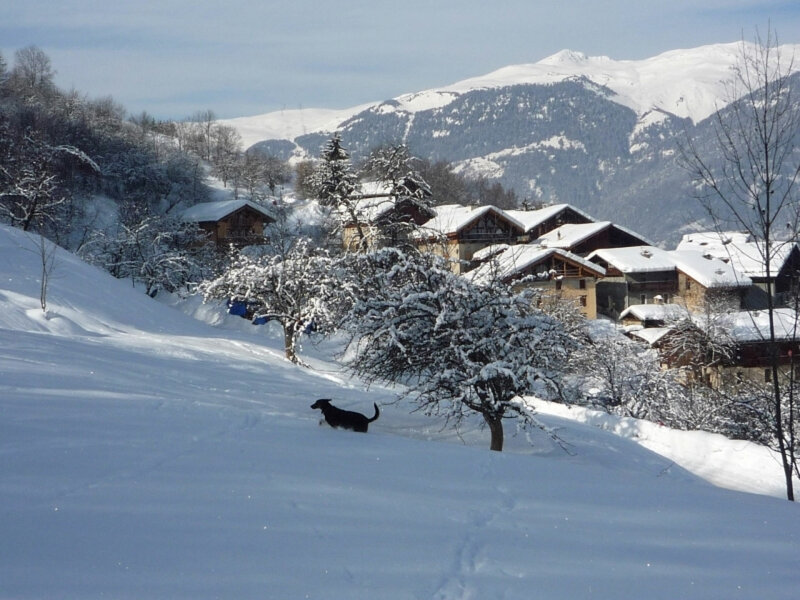 The farmhouse sits on the top edge of Montvilliers, a tiny unspoilt hamlet tucked away on the mountainside under Montalbert (one of the La Plagne ski resort villages). It's a quick 5 minute drive to the lifts (chalet shuttle service included for catered guests, extra charge for self-catered guests). You can also ski back off-piste along a wide forest track if conditions and your ability allow. The chalet has WIFI internet, a DVD player and TV (for watching DVDs, no signal), and stereo. There's also a sun terrace with mountain views, an outdoor spa with barrel sauna and hot tub (subject to a supplement). The enclosed garden ideal for dogs. As Ferme Blanche is a peaceful mountain retreat, we don't accept children aged under 12 on a shared occupancy catered basis. 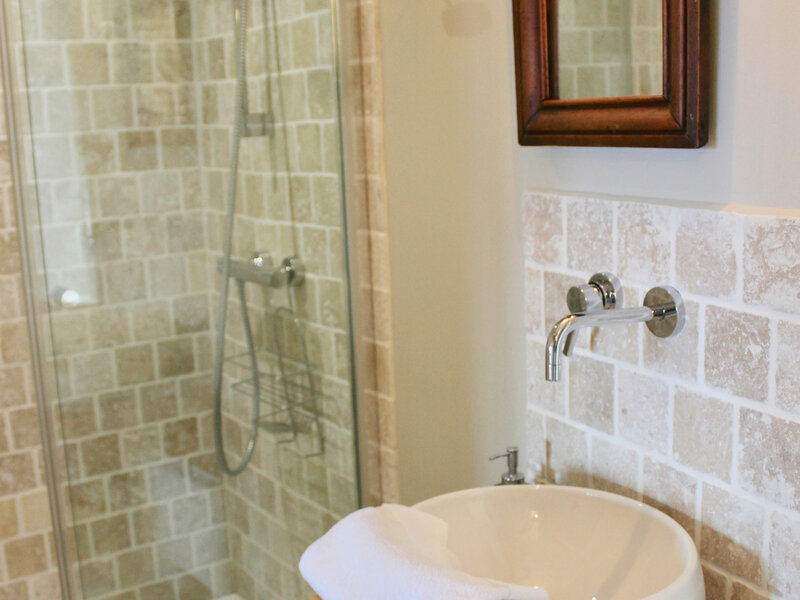 Children under 12 are welcome in sole occupancy catered and self-catered groups. *The catered prices shown here are example prices only and vary depending on the group size, dates and number of rooms required. A supplement may be payable for the additional cabin room and for the self-contained ground floor studio (twin or double). Transfers are usually included off peak for groups of 6 or more if you travel on Sunday (Saturdays may be possible). There's a supplement for transfers for smaller groups, or during peak weeks. There's also a 1.50ï¿½ per night per adult tourist tax. Contact us for a tailored quote.